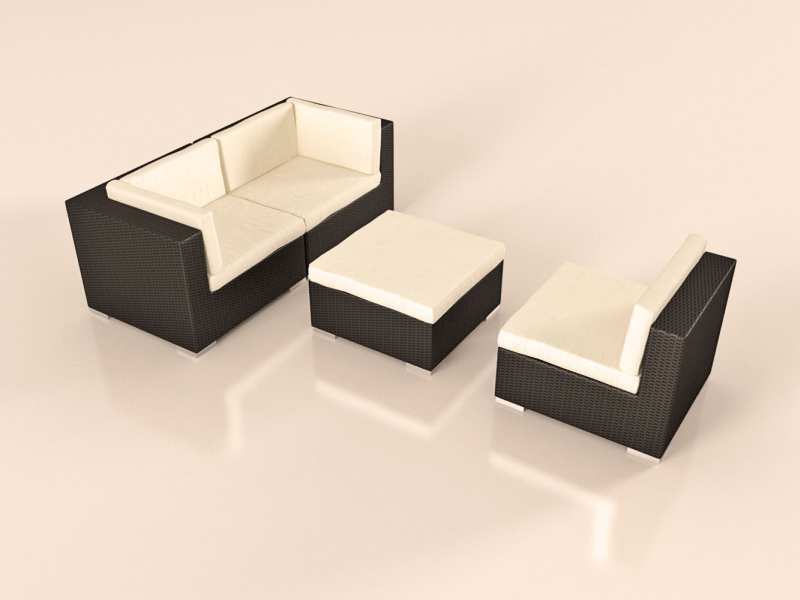 Deep, roomy and comfortable, the MAVINIA Rattan Couch Set invites you to take a seat and put your feet up. The durable cushions keep their bounce and the cream-white coloured cushion covers can be popped into the washing machine if need be. 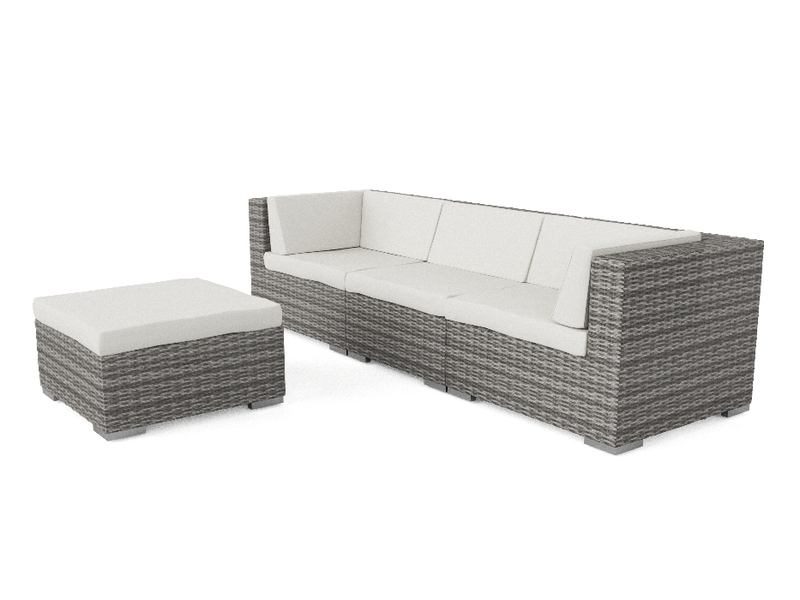 MAVINIA is an outdoor rattan couch set with low-down seats for you to sink into, the height of the seats being 38cm. The 8cm high foam cushions with their cream-white cushion covers ensure complete comfort for you when you are tired and exhausted. The set is available in brown or black and the frame is made from sturdy, powder-coated aluminium. 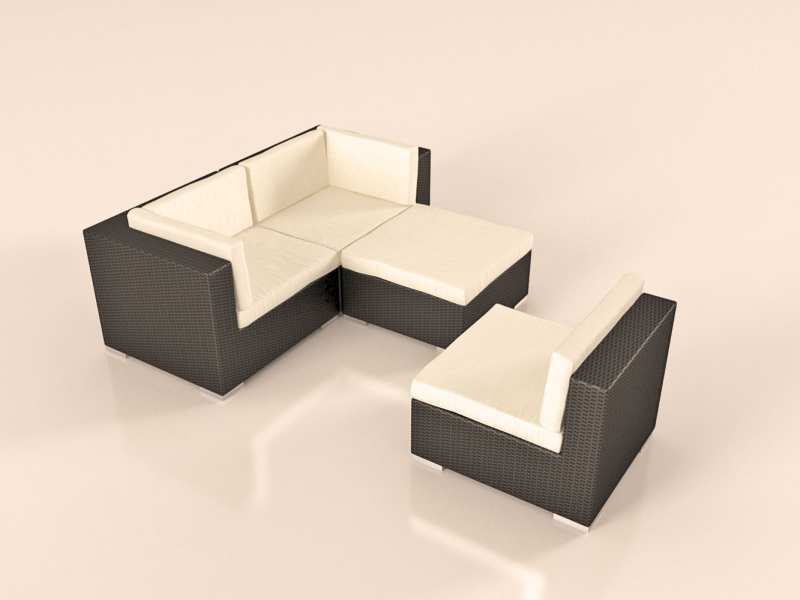 This high quality couch set is perfect for your garden or conservatory and is also ideal for use in the hospitality industry. The four components can be positioned however you like, depending on your current mood and needs. The foot rest can, of course, be used to rest your feet upon, but you could also place a tray here, or perhaps a book. 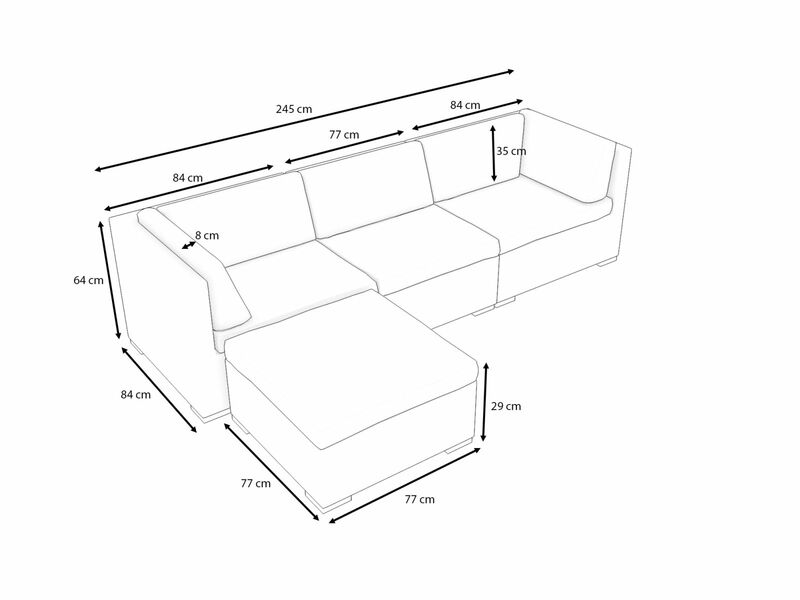 The MAVINIA Rattan Couch Set has many appealing attributes, but what will be your favourite? Will it be MAVINIA’s attractive low price? Its versatility? It could even be the water repellent, UKFR (UK Fire Resistant), machine-washable cushion covers made from polyester. 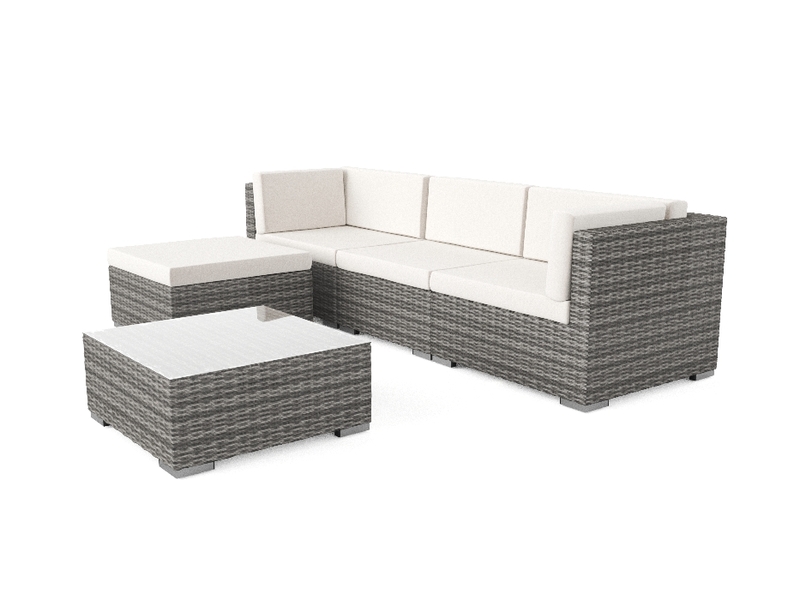 One thing’s for sure… the MAVINIA Rattan Couch Set is a must-have for your garden this summer. 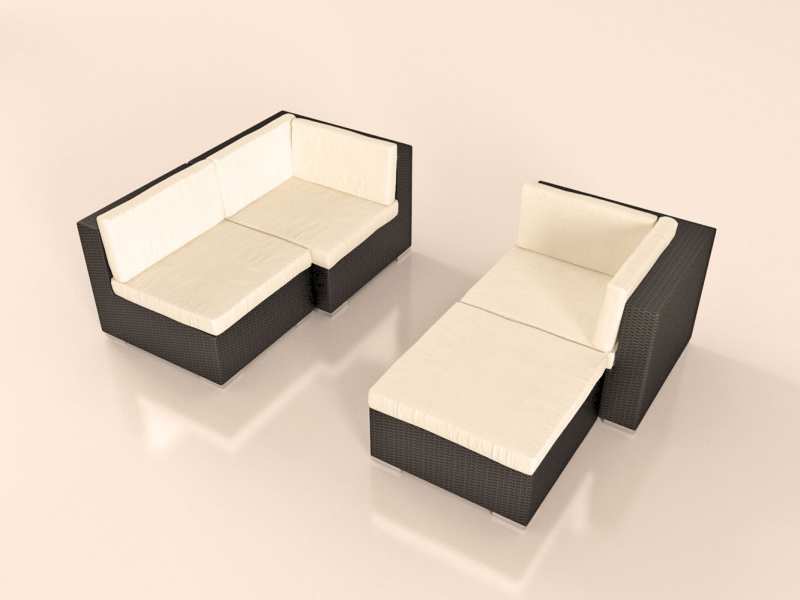 We are highly confident that you will fall in love with this attractive rattan couch set. We are sure that you will never tire of spending long summer nights relaxing in style on MAVINIA in your garden or cuddling up on it in the cold winter months in your conservatory.